First I revealed some Xbox One werewolf news and now I’ve got some PS4 werewolf news! 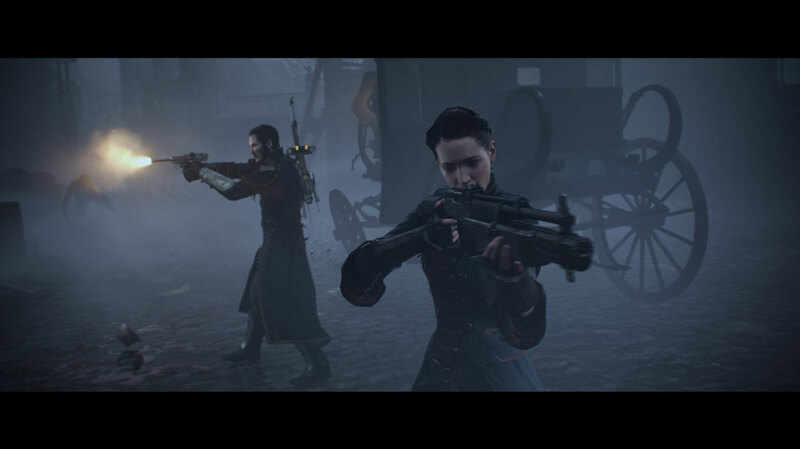 The new IP The Order: 1886 from Ready at Dawn was announced at E3 and it brings steampunk style to the werewolf-filled streets and zeppelin-filled skies of Victorian London. If you like alternate history, steampunk weaponry and werewolves, then this upcoming shooter is a must-have. Check out the details below. Sony announced The Order: 1886 for the PlayStation 4, developed by Ready at Dawn. Set in Victorian London, the game will follow The Order, a group who fight supernatural threats. In a post on the PlayStation Blog, Ready at Dawn CEO and Creative Director Ru Weerasuriya revealed that The Order has been in the works since 2010 and that they were waiting for a console to do everything they had envisioned for this game. The setting is an alternate universe where the Industrial Revolution came about as an effort to win a centuries-old war against inhuman enemies. There will be alternate versions of real-world historical figures that help you in your quest, however, who those figures are has yet to be revealed. What do you think so far? I wish I had more on the game – like images of the supernatural creatures – but alas, I do not.